And hope you see growth. In terms of food, I can’t complain. I’ve had some wonderful meals, met some fellow foodies and even got paid to write about food; 2014 was good to me. I guess in this state of mind, it wasn’t that hard to go further back in the past and appreciate the progression I’ve made in terms of food. 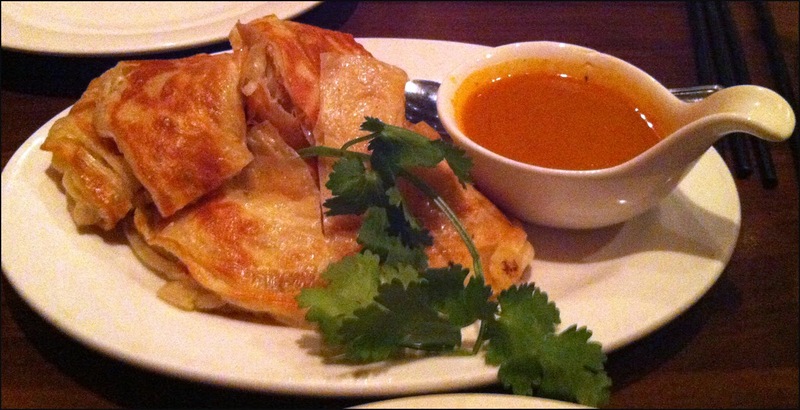 The reminiscing began with a recently dinner at Banana Leaf on West Broadway near VGH. I remember in the mid 20000s, when I got my first real career related pay cheque, that Banana Leaf was a favourite place to splurge. Malaysian food is, with influences from China, India, Indonesia and local Malay traditions, a fusion cuisine hundreds of years in the making. As a result, Malay dishes seem familiar yet exotic, with new spices and ingredient combinations that were different than what I was use to. Banana Leaf was a destination to celebrate special occasion for my friends and I in our mid twenties. However with a curiosity about food and new eateries to try, I haven’t been back to Banana Leaf for almost 7 years. I was interested to find out if Banana Leaf was an oldie but a goodie or a place where my absence could have of gone a few more years longer. My meal consisted of Roti Canai, Malaysian Laksa, Sambal Beans, Eggplant and Okra, Beef Rendang, Tumeric Rice and black sticky rice with durian for dessert. The roti canai served was not flaky but gummy. The curry dip was non-distinct and not really impactful. Not the best start to the meal. 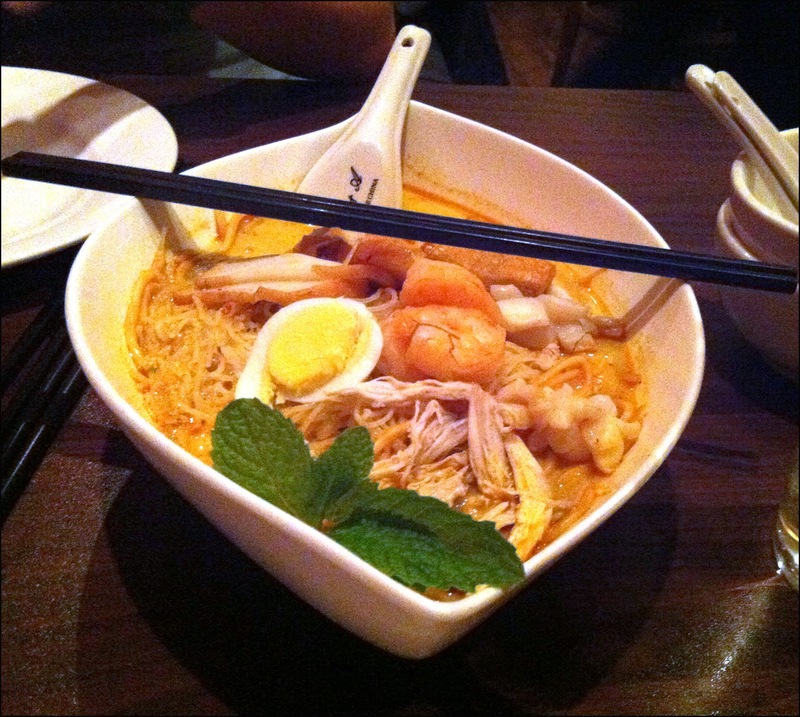 The Malaysian Laksa came with two types of noodles: vermicelli rice noodle and a thicker egg noodle. I thought this was weird and would have preferred an entire bowl of just the sponge like vermicelli.. Overall I thought this noodle soup was flat. The soup base had an initially taste of curry on the first sip but overall was quite bland and not very aromatic. The toppings were average and I felt like the chicken was shredded re-purposed Hainanese chicken. The Sambal stirred fried vegetables were a touchy greasy but overall was the best dish of the night owing to the fact it had the most complex flavour. The sambal sauce comprised of garlic, dried shrimp and shrimp paste, was the star of the dish. It was fragrant, salty and gave the dish an umami punch. 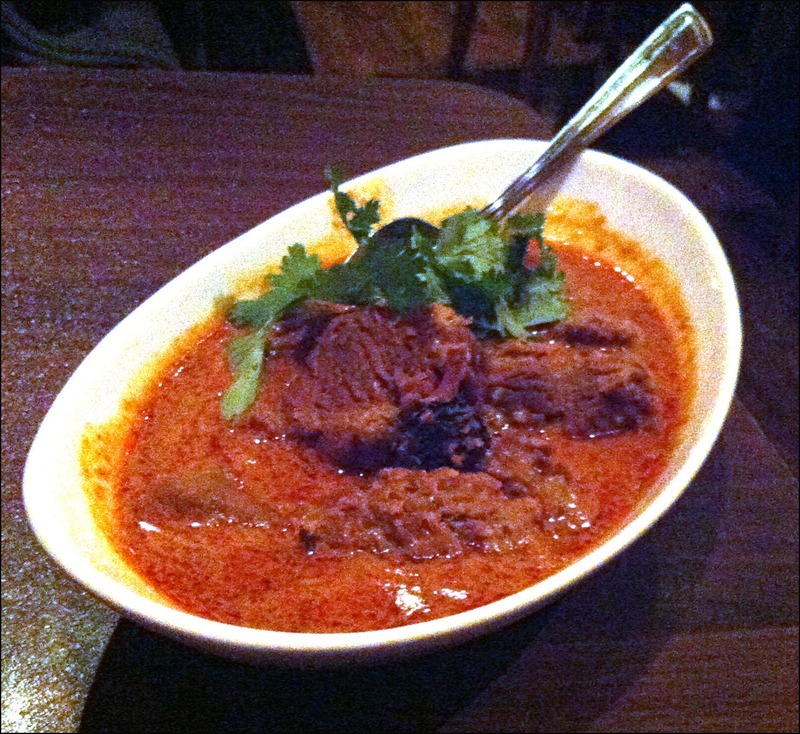 The Beef Rendang in contrast was rather dull in flavour which surprised me since it’s basically stew. Stews tend to be deep in flavour with fork tender meat. Unfortunately this was not case here as the beef was rather stringy. The sauce was sweet but not aromatic or complex tasting. I was not expecting much from the tumeric rice as the spice simply makes things yellow in colour for the most part. Turmeric is why prepared mustard for hotdogs is a vibrant yellow. 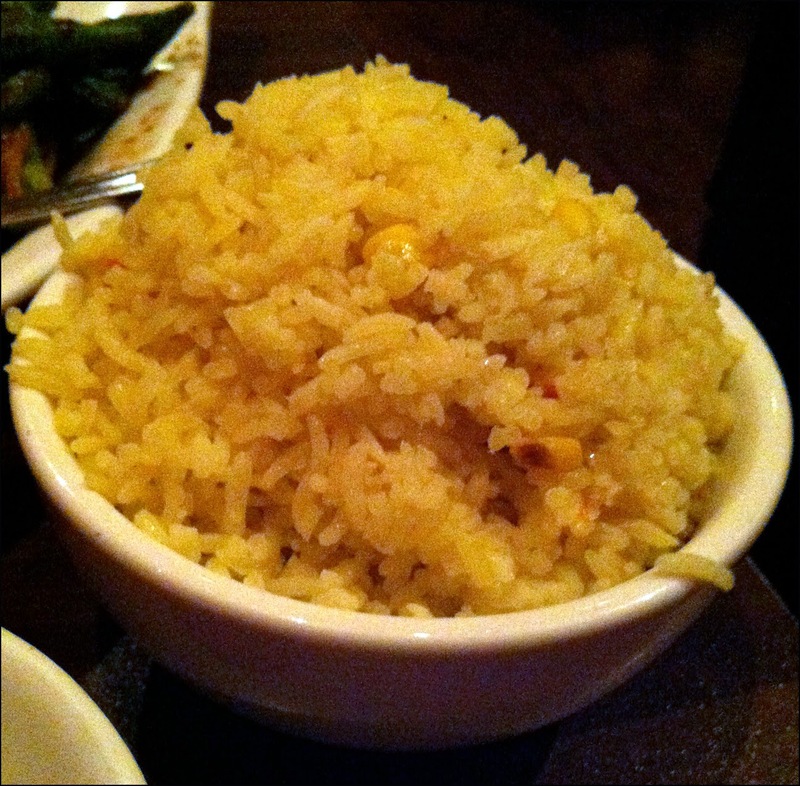 The rice was paler in colour than I was expecting, and the kernels of corn were unexpected, but it served its duty as a sauce soaker. 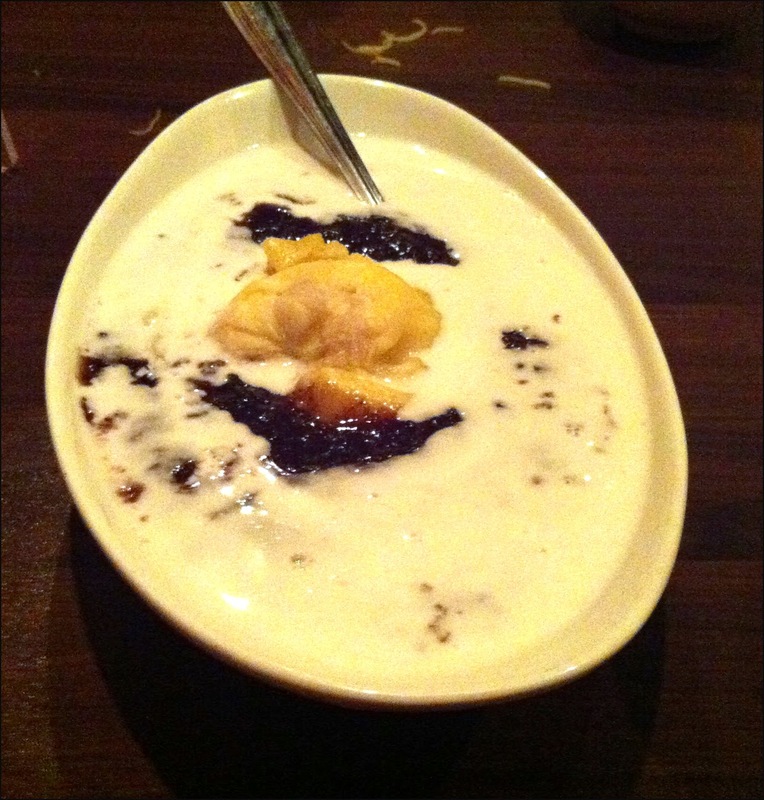 Lastly I ordered a dessert of black sticky rice with coconut milk and durian. The dessert was served piping hot and was rather bland. The best part was the durian as it least gave the dish some sweetness and flavour. The meal was disappointing and rather flavourless. Perhaps the quality at Banana Leaf has decline since I last visited but I actually think it has more to do with my progression as passionate food person. I have eaten more Malaysian cuisine, learned and understand more about food in general. I think I’ve simply outgrown Banana Leaf and have higher expectations for food than what I did seven years ago. I’ve come a long way, baby. Previous Post WTH! What are you Chambar?